Orange juice has long emerged as a staple in the American diet. It receives almost universal acclaim for its fresh taste and its health benefits, with consumption reaching across divisions of class, race, region, and gender. Florida has dominated production ever since orange growers discovered juice as an outlet for surplus production in the early twentieth century. The state of Florida established a Department of Citrus in 1935. The industry took off after the patenting of a method to produce frozen concentrated orange juice in 1948, and corporate America entered the ring: Coca-Cola bought the Minute Maid brand in 1960 while Pepsi acquired Tropicana in 1998. The Florida legislature declared orange juice the official state beverage in 1967. It may soon be over. A disease called citrus greening is wreacking havoc to an ever growing number of orange groves all over the peninsula. Caused by a bacterium, it spread through the Asian citrus psyllid, an invasive species that was first found in Florida in 1998. Citrus greening makes trees loose foliage and causes fruit to turn bitter and drop from trees before they are ripe, effectively rendering orange trees unproductive. No known cure exists for the disease, and attempts to curb the bug's spread have met with mixed success at best. The epidemic follows on the heels of a canker epidemic that cut Florida citrus production by roughly one third. After a campaign that cost $ 600 million and included felling 12.7 million citrus trees (about ten percent of Florida's commercial acreage), the U.S. Department of Agriculture found that the fight against canker was lost and cancelled its eradication efforts in 2006. In short, a tiny insect is currently pushing a nine billion dollar industry into oblivion. The story of citrus greening mirrors the paradox of the modern plantation: the combination of permanence and notorious instability. In essence, plantation history offers a deeply ambiguous narrative-a global success stor­y full of crushing defeats. On the one hand, plantations are a cornerstone of global food production in the modern era. They have supplied societies all over the world with a cornucopia of cheap products and will continue to do so for the foreseeable future. Western consumers can barely imagine a life without oranges, apples, coffee and other plantation products, and for good reasons: they never had to worry about them throughout their entire lives. On the other hand, plantations are constantly under threat, and many plantation systems go through cycles of boom and bust. A whole host of factors can jeopardize or terminate a plantation project, and no one knows in advance whether things will work out. Of course, the environment was not the only source of trouble for plantation systems. Labor was a key issue, particularly since plantation economies hinged on slavery into the nineteenth century. The sugar industry in Brazil and the Caribbean, arguably the archetype of the modern plantation, is the best-known example. Competition is another factor. Florida's citrus industry is not only under siege from nasty diseases but also from real estate developers and cheaper producers abroad: Brazil passed Florida as the world's leading producer of oranges some three decades ago. However, environmental problems have galvanized attention long before environmentalism became a global force towards the end of the twentieth century. Soil fertility and erosion were subject to intensive debates. Pests and diseases inspired fears and frantic eradication efforts. They also inspired popular culture: the boll weevil-another tiny insect that ate its way through the Cotton South around 1900-left a mark not only on U.S. plantations but also in blues music. Historians have discussed the role of environmental factors in plantation history long before the rise of environmental history as a distinct scholarly field in the 1970s and 1980s. In U.S. history, the boll weevil routinely figured as the nemesis of the Old South and the main culprit for the problems of the rural South in the first half of the twentieth century, thus distracting attention from other issues such as land ownership patterns or white supremacy. The Royal Botanic Gardens at Kew take pride in their role in the transfer of rubber seeds from Brazil to Southeast Asia, where plantations soon outcompeted rubber tapping in the Amazon rain forest. In 1926, Avery Craven published a book with the speaking title Soil Exhaustion as a Factor in the Agricultural History of Virginia and Maryland, 1606-1860. 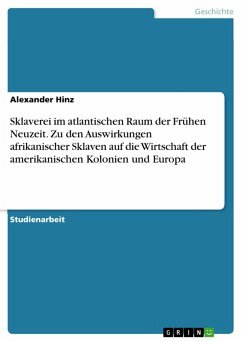 It attests to the Eurocentrism of historical scholarship that these early publications did not inspire a self-conscious field of study, and this volume bears the mark of a scholarly tradition that sees Europe's role in plantation history as primarily that of a consumer. In spite of the editor's best efforts, this volume does not include an article on a plantation in Europe. That is certainly not due to a lack of suitable topics. Huge orchards produce European apples and oranges, vineyards bear the hallmarks of a plantation down to a devastating phylloxera epidemic in the late nineteenth century, and a single Bavarian region, the Hallertau, grows a quarter of the global supply of hop. 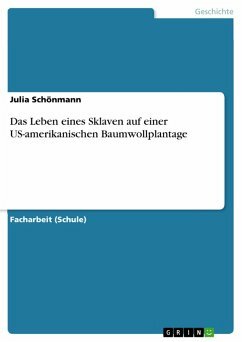 However, most Europeans think of plantations as an entity "somewhere else", an understanding that is perfectly in line with the word's origin. Mart Stewart's article reminds us that the plantation entered the English vocabulary with the sixteenth-century conquest of Ireland, designating what one would nowadays call settler colonization. Looking into the environmental dimension of plantations thus follows a scholar tradition, but it is a tradition that is diverse, scattered, and widely unexplored. It is also an ambiguous legacy for the discipline of environmental history. On the one hand, it shows that environmental history is more than a scholarly reflection of late twentieth century sentiments: today's researchers continue a discussion that earlier scholars have long recognized as crucial. On the other hand, authors had narrowly focused on the environment as an impediment to plantations whereas recent scholarship views the environment more broadly as a multifaceted context. Furthermore, preexisting readings proved a burden as much as an encouragement. 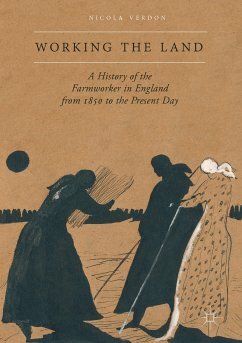 German forestry, perhaps the world's first monoculture science, produced not only coniferous plantations but also an authoritative narrative about the foresters' profession saving the country from a devastating scarcity of wood-a myth that forest historians have taken pains to dismantle. In his award-winning Mockingbird Song, Jack Temple Kirby makes short shrift of Craven's thesis, asserting that "now, however, one must doubt that the Chesapeake country was ever lost or needed saving." Plantations are a truly global phenomenon during the modern era, but they are far from uniform. In common parlance apples and oranges make for a difficult comparison, and yet they are similar in that they are both fruit, which is not always the case for plantation commodities. Cotton is a fiber that grows around the seeds of cotton plants; rubber comes from a milky substance that hevea brasiliensis trees give off from incisions in their bark. Even for the same commodity, methods of production differ from region to region, and local variation exists as well; the diversity of Mother Nature dictates that there are probably no two plantations in the world that are truly identical. Scholarship has generally taken this diversity as a given. Most studies focus on a single commodity in a specific region, and many authors go to great lengths in highlighting regional and national specifics. Rarely do we find books and studies that look at more than one geographic area. Of course, the world is a complicated place, and differentiation and academic specialization have their merits. But maybe it is time to view the plantation more comprehensively: as a global endeavor that is a key feature of modern history? Instead of leaving things at an endless variety of plantation systems, this volume proposes to see them as a transnational phenomenon that one might call the global plantation. Conditions on the ground may differ, but looking across the range of plantation systems around the globe, there are a number of things that ring familiar. In short, the global plantation is not a Weberian ideal type or an illusionary "average plantation". It is an intellectual construct that serves as a vehicle for a discussion of the common challenges for plantation systems worldwide. It is rewarding to aim for such a problem-oriented synthesis with a discussion of environmental challenges. Unlike many other sub-disciplines, environmental history has one great potential in a global context: it holds the promise of making global history more simple. Labor systems and land ownership patterns can differ endlessly around the world, but when it comes to ecological challenges, the laws of nature make for a notable degree of uniformity. Every irrigation system is coping with the threat of salinity. Pests and fungi kill plants regardless of national cultures. And when soils are exhausted from monocultures, the owner is in trouble irrespective of whether he is a plantation lord, a sharecropper, or a free peasant. (And neither does it matter if "he" is really a "she".) To be sure, responses may differ depending on the socioeconomic context. For instance, planters can buy fertilizer or enlist scientific expertise that sharecroppers cannot afford. And yet the similarity of ecological challenges makes for a common thread that runs through the global history of plantations, and it seems worthwhile to explore the analytical potential of this thread. That is what this volume intends to do. The essays in this volume are case studies on specific commodities in certain regions. But at the same time, they hold broader relevance in that they discuss issues that resonate in plantation systems all over the world. As some of these issues are discussed implicitly, this introduction seeks to identify these recurring themes and reflects on the more general implications of the case studies. It does so in a tentative fashion: the goal is to highlight perspectives for ongoing research, and to offer some ideas as to their scholarly potential. The aim is to open doors and to reflect on the challenges that students of plantations all over the world might want to explore more closely. These perspectives are diverse and go in different directions. 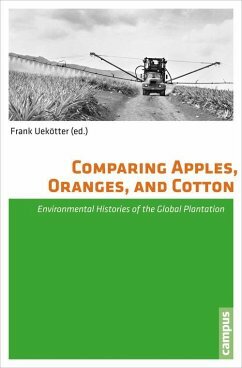 Here the complexity of the global plantation meets with the inherent diffuseness of environmental history. Disciplinary boundaries are never clear-cut, but t­hose of environmental history are, as John McNeill noted in a landmark article, "especially fuzzy and porous." What environmental history can offer to plantation history is a multitude of hints and perspectives with varying degrees of significance and subversive power. With that, this volume is better in destabilizing established readings than in offering a new master narrative, but that arguably fits the subject. When it comes to plantations, ecological stability is as elusive as interpretative certainty. Plantations have many ways to make people 'in the know' look foolish. While pushing conceptual and methodological limits, the following art­icles are also amenable to a more conventional reading. Authors were asked to write for the uninitiated and explain fundamentals of their respective plantation system, and editing sought to exorcise traces of insider code that hinders understanding beyond the circle of specialists. That makes this volume a primer for commodities in specific regions, some well-known and others less so. To be sure, the essays assembled herein make no pretense at comprehensiveness: the modern world of plantations is too wide for any such claim. But beyond their specific topics, these articles provide an idea of the richness of the overall field, and perhaps alert scholars in search of rewarding topics to a field wide open for new endeavors. Frank Uekötter ist Reader für Geschichte an der Universität Birmingham.